*Note: Length includes tenon length. 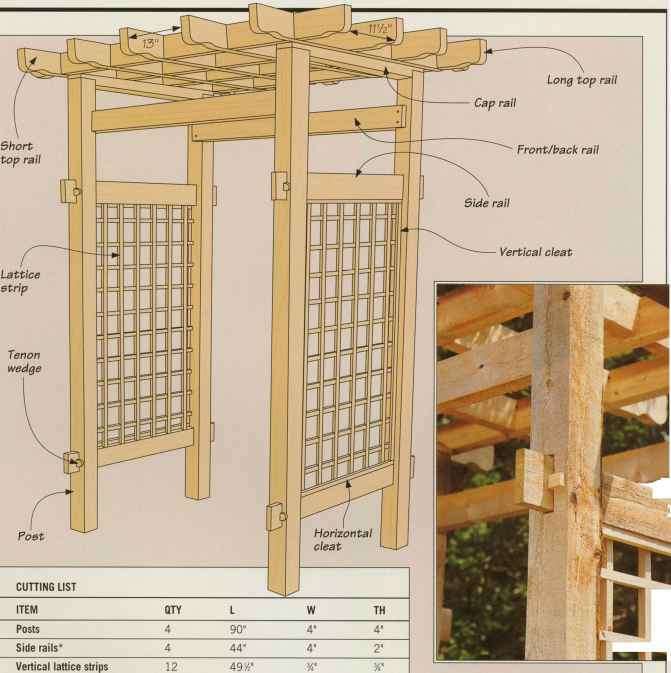 A tusk tenon joint fixes the side rails of the arbor to the posts. The end of the side rail is fitted through a mortise on the post, and a tenon wedge is driven through a hole in the rail, locking the joint. 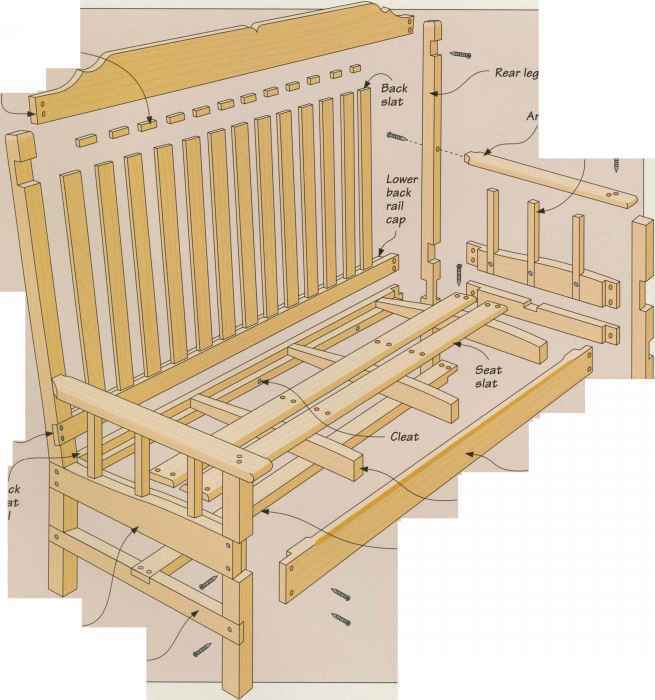 This traditional joinery method complements the rustic look of this unfinished piece, built from northern white cedar.